← Photo & Video Taken of Bright Light UFO. 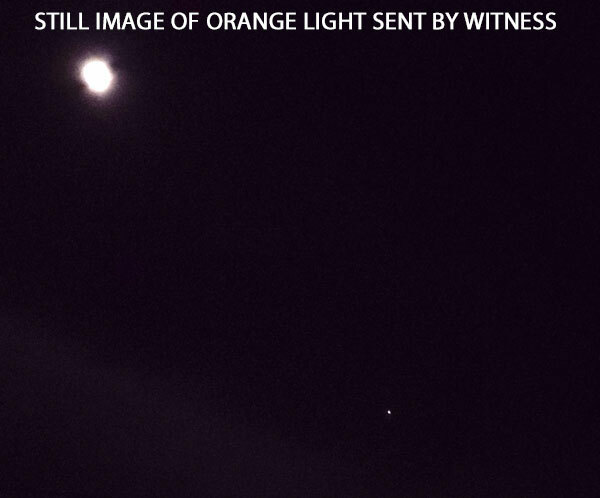 STILL IMAGE OF ORANGE LIGHT SENT WITNESS. I put all the clips together in one. There is crazy stuff all throughout the video (all 11 minutes of it). If you have any questions, please don’t hesitate to ask . I’m super curious as to what this is so if you could let me know what you think that would be great! Note: The witness was not able to send the video. Two still images of the light were sent. This entry was posted in bright light, circular, Orb(s) of Light, Photos, Strange Shaped, UFO Sightings 2018, UFO Sightings Ohio and tagged Multicolored, Orange colored lights. Bookmark the permalink. One Response to Several View Orange Ball of Light Change to Other Colors.